Dry mouth, or xerostomia (zeer-o-STOE-me-uh), refers to a condition in which the salivary glands in your mouth don't make enough saliva to keep your mouth wet. Dry mouth is often due to the side effect of certain medications or aging issues or as a result of radiation therapy for cancer. Less often, dry mouth may be caused by a condition that directly affects the salivary glands. Saliva helps prevent tooth decay by neutralizing acids produced by bacteria, limiting bacterial growth and washing away food particles. Saliva also enhances your ability to taste and makes it easier to chew and swallow. In addition, enzymes in saliva aid in digestion. Decreased saliva and dry mouth can range from being merely a nuisance to something that has a major impact on your general health and the health of your teeth and gums, as well as your appetite and enjoyment of food. 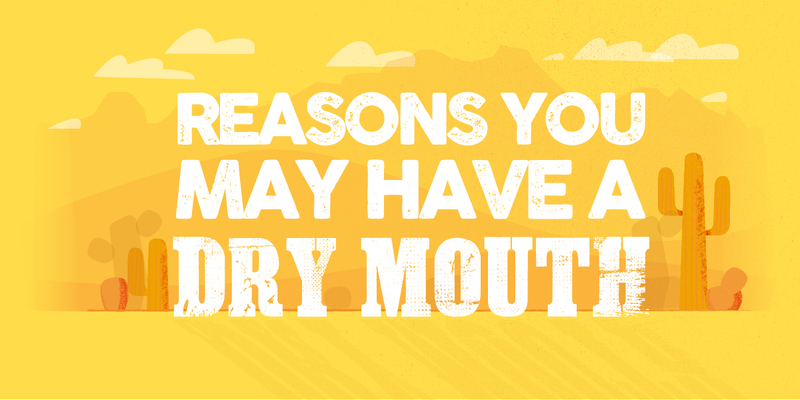 There are numerous reasons you could be suffering from dry mouth. Below are the top. Sometimes having a dry mouth is just a normal part of life. Temporary anxiety, open-mouthed breathing, mild dehydration, menopause, pregnancy, and decreased saliva during sleep are all normal causes of dry mouth. Sixty-three percent of the top 200 most commonly prescribed drugs in the US. are known to cause dry mouth. And the higher the number of medications a person takes, the higher the chance of dry mouth. That’s why as we age, we tend to experience more instances of dry mouth. It’s not necessarily age-related, but our consumption of medication may cause this side effect. Chronic Diseases such Diabetes, Sjogren’s disease, Sarcoidosis, Hepatitic C can all cause dry mouth. Use of any of these products will dry out the oral cavity. Please drink in moderation, and make sure to up your water intake when you imbibe. As for tobacco, we always recommend quitting as soon as possible. Treatment for dry mouth depends on the cause. But good news! It is manageable and there are several treatment options. But left untreated it can wreak havoc on tour dental health. In addition to the symptoms listed above, persons with dry mouth are exposed to a increase rate of decay. If you find yourself with a persistent, unidentifiable case of dry mouth, you should make an appointment for an evaluation. We recommend visiting us or your doctor for a consultation on why you may be experiencing a dry mouth. Why should you floss? Your toothbrush isn’t enough to brush away the plaque that builds up between teeth and at the gumline. The acids produced from the bacteria in the plague is what erodes the enamel from your teeth making them weak, causeing a cavity. Most cavitys develop between the teeth due to not flossing. It is such simple solution, but too few peopele do it. Manual toothbrushes are effective at reaching the front and back of your teeth but cannot access the space between your teeth and under the gum. An electric brush such as the Sonicare and water irrigators such as the Hydrofloisser or Water Flosser are excellent aids in accesing these areas and removing the plague. How often should you floss? Once a day is recomended. Ideally every time you brush your teeth, which should be after every meal! Should you floss before or after brushing? Either one is fine! As long as you do it at least once a day. What is the proper way to floss? Pull out about 18 inches of floss (any brand is fine). Wind the floss tightly around your index or middle fingers on both hands so that the floss between your hands is taut. Slide the floss between each set of teeth that touch, as well as where your last molar meets your gums. Slide the floss up and down the teeth, following the natural curve of each tooth in a “C” shape. Imagine the floss giving each tooth a little hug! Floss between teeth and where your teeth meet your gums. Use a new clean section of floss for each set of teeth. You can also ask your Hygienist at your next dental visit. Can’t floss or just don't like it? 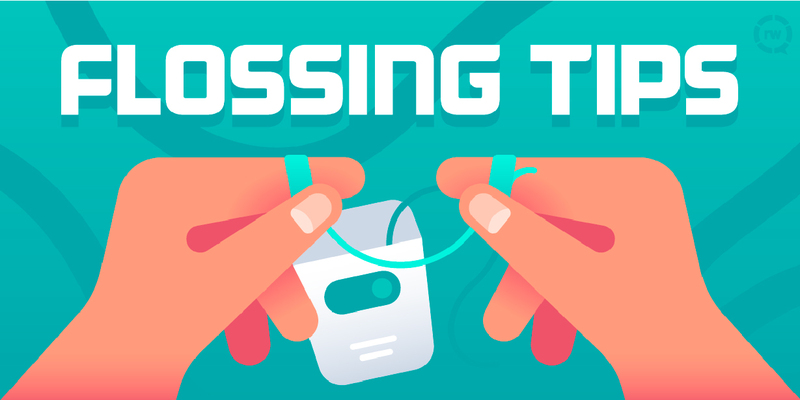 Many people have difficulty flossing or simply do not care for the way it feels between their teeth. Others have conditions such as arthritis or limited dexterity that makes it difficult to floss. Consider a dental pick, oral irrigator, electric flosser, floss pick or proxy brush. There are a variety of products on the market. Some of our favorites are the Hydroflosser, Soft Picks and proxy brushes. Give us a call at 407-774-4433 or ask about options at your next visit We will help find a solution for you! Stage Two: Enamel Decay Stage two marks the beginning of the end for the surface enamel that is being attacked. Initially, the tooth erodes from the underside outward, so the outer enamel will still be intact for the first half of this second stage. Once the cavity breaks through the surface of the enamel, there is no turning back, and your child will need to have the cavity corrected with a filling. 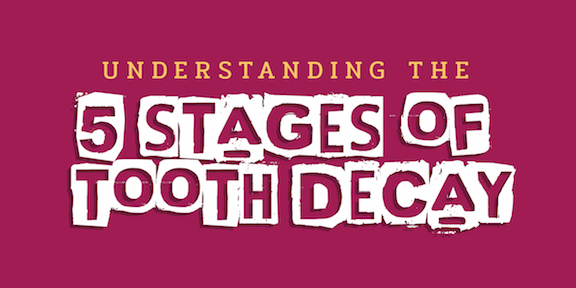 Stage Three: Dentin Decay If a cavity in your child’s mouth were to progress beyond stage two without you knowing, you’d tend become aware of it when it started to hit stage three because it would probably start to cause some pain. At this level, the cavity begins to eat away at the second level of tooth material that lies beneath the enamel: the dentin. A filling can still be used to stop the onslaught of bacteria assaulting the tooth in order to prevent the cavity from reaching the tooth’s most critical component: the pulp. Stage Four: Involvement of The Pulp Once the cavity reaches the pulp, it’s going to hurt. A lot. So if you’ve unfortunately missed all the signs to this point, a screaming child or moaning teenager will certainly let you know there is a big problem. Stage four is serious, and a root canal is the only option of treatment at this stage, save for a complete extraction. A tongue scraper is a U-shaped device designed to “scrape” the top layer of scum from yourtongue. They have been in use since ancient times, and have been made of everything from wood to whalebone. Nowadays, they are made of more hygienic material, and come in a variety of shapes, sizes, designs and colors. • Reduce your risk of periodontal disease and cavities: Bad bacteria contribute to plaque and tartar on teeth, making them more susceptible to cavities. Bacteria build-up can also lead to inflammation of gum tissue (gingivitis). If left untreated, gingivitis can lead to periodontal disease, which means a more expensive dental visit (plus other unwanted consequences!). Speaking of avoiding an expensive dental visit, when was the last time you came in to see us? Come see us now if it’s been awhile, by calling in at 407-774-4433. • Make room for good bacteria and Reduce Bad Breath: see our article here on probiotics for your mouth. HOW does one use a tongue scraper? In general, make sure to rinse your tongue scraper before and after use. Apply the tongue scraper to the back of your tongue and drag it forward. Then, rinse and repeat. Make sure to get the sides of your tongue as well, not just the center! Make sure not to press too hard or you can cause yourself to bleed. And, if you’re wondering if you should scrape your tongue while recovering from a dental procedure, that’s a good question … ask your dentist for the best advice particular to your situation. Still not sure how this thing really works? The next time you’re in ask Dr Halek or one of our Team Members for a quick tutorial! WHERE do I buy one? Your first choice is, believe it or not, US! Tongue scrapers are relatively inexpensive, and can also be found at any local drugstore. It doesn’t matter the material, color, or brand – just find the one you like and get scraping!